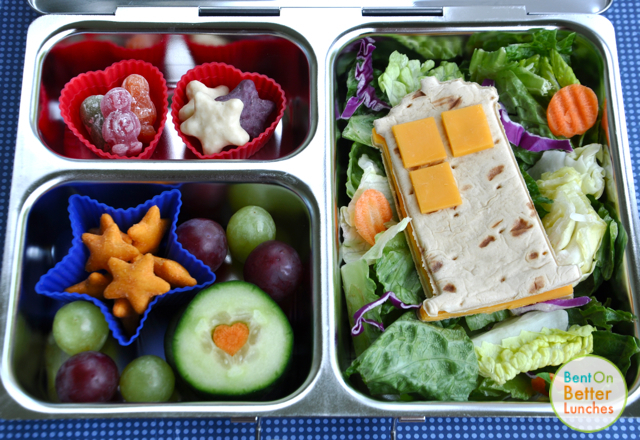 Bento for Kidlet: Guest Post: BentOnBetterLunches! I am very excited to have a fantastic guest post today from my buddy Cristi of BentOnBetterLunches! It involves one of my favorite things: Doctor Who and is packed in a Planetbox which I am eternally jealous of! We wants it precious! ;) This lunch is for her awesome kiddo Bella! Check out her site for more lunch time excellence! 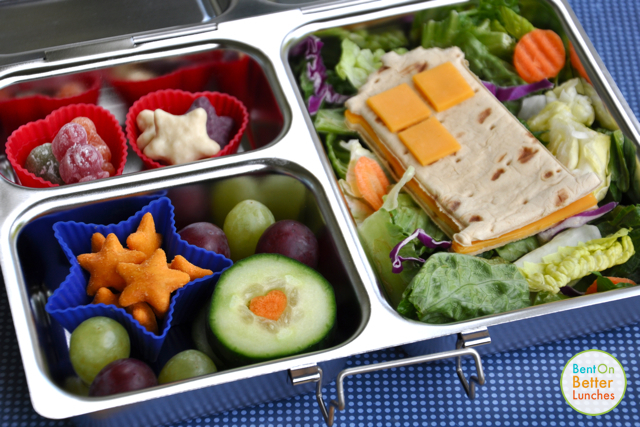 them - yogurty cookie stars & real Jelly Babies :) Lunch is packed in a PlanetBox. PlanetBoxes are cool. Ooh, that is adorable! I'm in awe of the Jammy Dodger-esque cucumber slices.